We just adore this charming bedroom styled by our friends at Project Nursery. 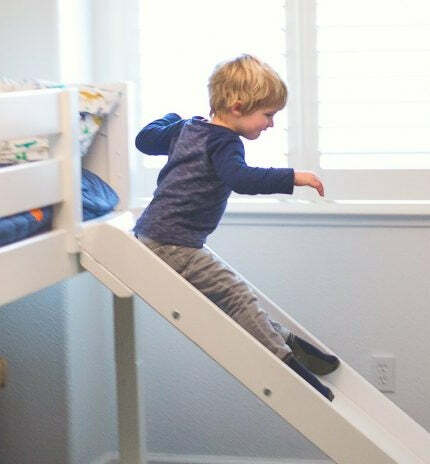 This low loft bed with slide is a fun start into the Maxtrix system. See all the images from our Room Reveal with Project Nursery!